You can learn a lot about a person by visiting their home. Upon stepping into someone’s living space, you immediately pick up on their level of cleanliness and organization (or lack thereof). A person’s personality is usually reflected in the décor of their house or apartment. Similarly, you can also learn a lot about a person from their smile. We here at Sugar Fix Dental Loft believe that there is not much difference between a home and a smile. The common denominator being that that owner can have both things designed to their liking. An interior decorator aims to harmonize a living or working space. 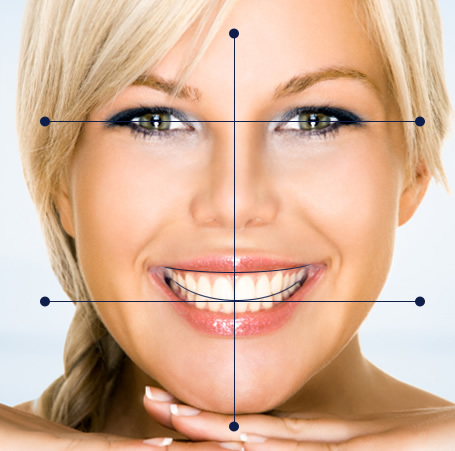 A dental smile designer aims for the perfect integration of facial and dental composition. Interior design and smile design are about more than simply arranging and rearranging furniture and teeth, respectively. Interior design deals with environments that please and enhance the health and safety of the user. Guess what? Smile design does the exact same thing. A healthy and safe smile is a gorgeous smile. For those of you fearing that smile design is going to involve drastic measures such as what you see on television, think again. Smile design is so not Extreme Makeover: Home Edition. Smile makeovers are generally performed on individuals who want to perfect their smiles through a combination of cosmetic and restorative dentistry treatments and procedures. After thoroughly examining your teeth and gums to determine how best to proceed, Dr. Emery will recommend which cosmetic and/or restorative dentistry options will help you meet your makeover goals. To achieve a successful, healthy and functional smile, Dr. Emery requires an understanding of the interrelationship among all supporting oral structures. You may not realize it, but there are a lot of working parts that go into creating a brilliant smile. We’re talking muscles, bones, joints, gingival tissues and the position of teeth when jaws are closed (occlusion). Dr. Emery will evaluate the condition of your teeth, gums, bite and jaw structure before commencing your smile makeover. An interior designer has options: paint swatches, throw pillows, frames, desks, beds, closets, fabrics, furniture, space utilization, natural vs. artificial lighting, etc. A dentist has options too: porcelain veneers, cosmetic bonding, tissue recontouring, dental implants, crowns, bridges, inlays, onlays, fillings, whitening, neuromuscular treatments, etc. The list goes on and on. Dr. Emery will recommend the best treatment or procedure to makeover your unique and one-of-a-kind smile. Contact Dr. Emery and her team at Sugar Fix Dental Loft today to learn how you can land an award-winning grin. A consultation can kick off the smile makeover process and honestly, who doesn’t like a makeover? Wish I could have one every week!